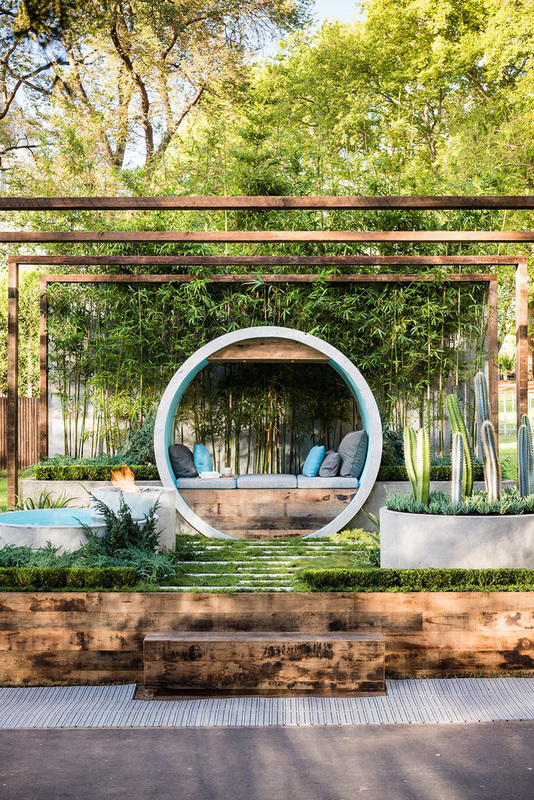 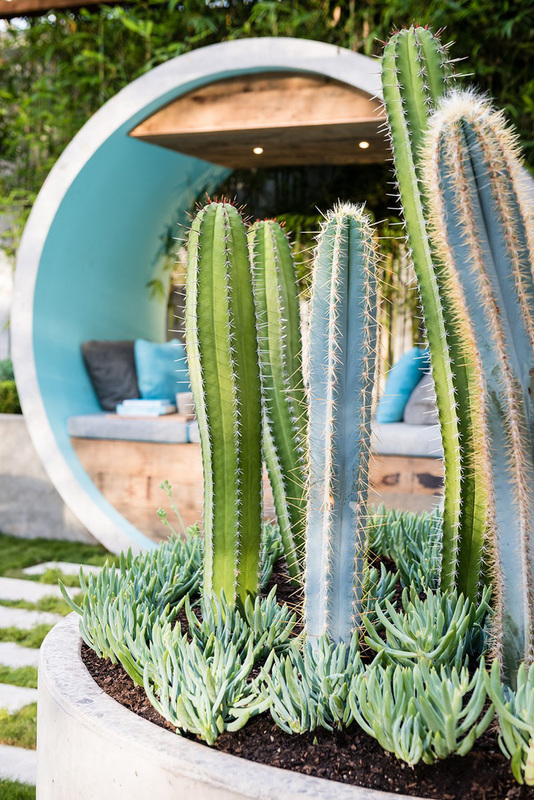 Alison Douglas has designed “Pipe Dream,” the winning entry in the Boutique Garden category, at the 2015 Melbourne International Flower And Garden Show. 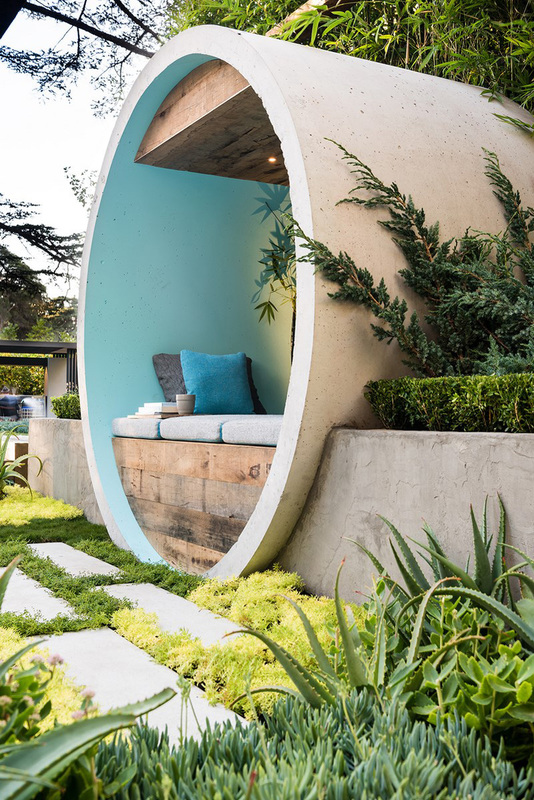 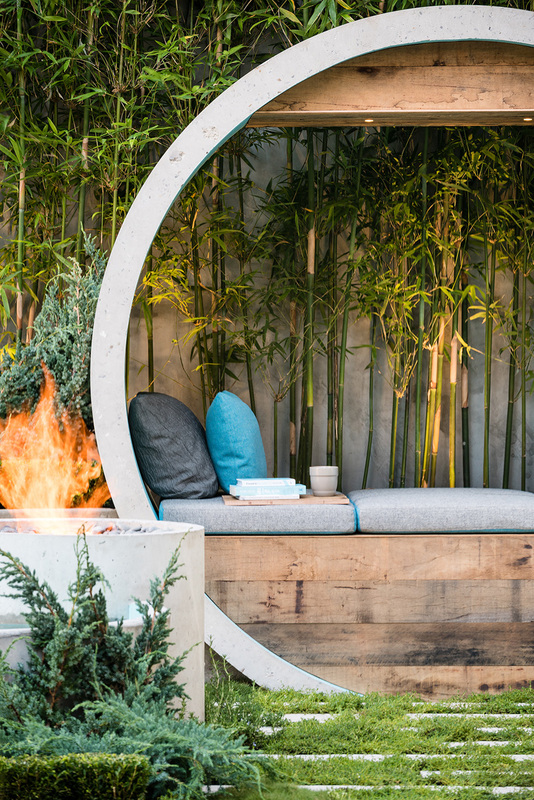 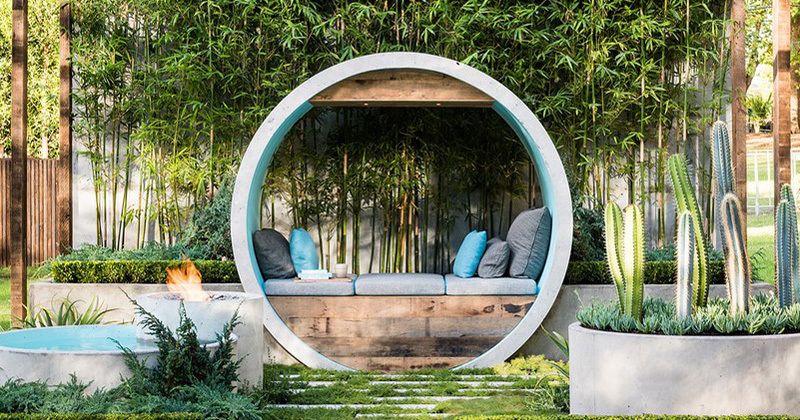 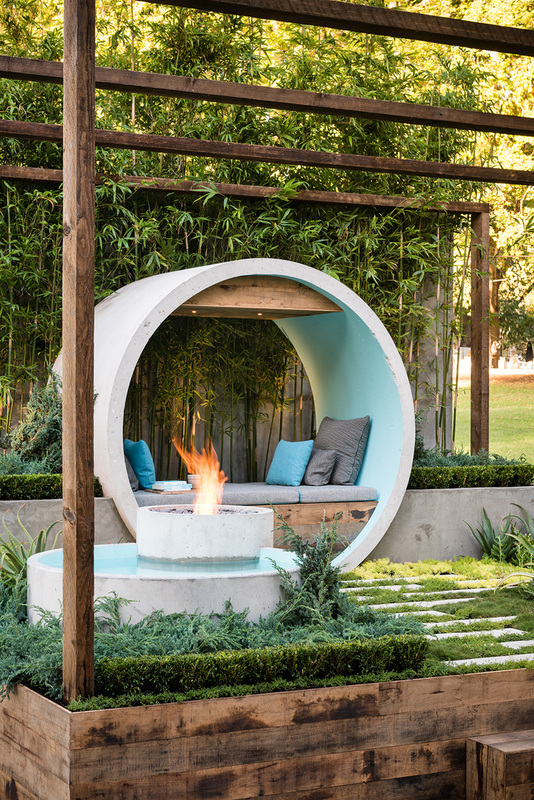 Using a number of concrete pipes, Alison has created a meditation moon gate / day bed, a reflective water feature, and a fire pit. 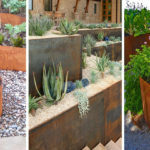 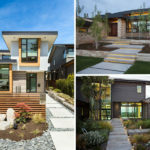 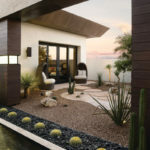 The plants were chosen to create an all-season garden, which will hold its color, shape and texture all year round.